The name of the winery is intriguing. One could speculate that dwie granice (lit. two borders) means that two borders, Polish-Slovak and Slovak-Hungarian, have to be crossed on the way to the famous wineries in Hungary. But in times when the wealthy people of Małopolska imported Hungarian wines from the south, there was only one border. The explanation of the name’s origin is more obvious than one could expect, and does not imply any medieval references. 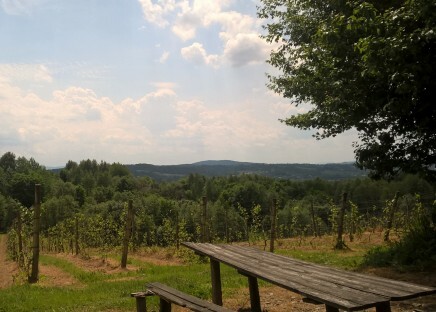 The winery established by Marek and Lidia Nowińscy is on the border of two villages, Przysieki and Trzcinica. In 2004 they achieved one of their biggest dreams by creating the first vineyard in Przysieki, near Jasło. However, there are some links between the local viticulture and Hungary. Over ten years ago the Nowińscy couple visited Hungary and were delighted by the local winemaking craft with its long and rich tradition. They discovered the secrets of grapevine growing, gained respect for wine, and wished to have something like that in their homeland. Lidia and Marek Nowińscy live in Warsaw, but decided to build a house in Przysieki, where Lidia has her family roots. After designing the vineyard and choosing grape varieties, they began their winemaking adventure. The first harvest was in 2006, and every season since then crops have been gathered. In June 2011 Nowińscy started building a winery with facilities suitable for processing harvested fruit from a 6 ha vineyard. 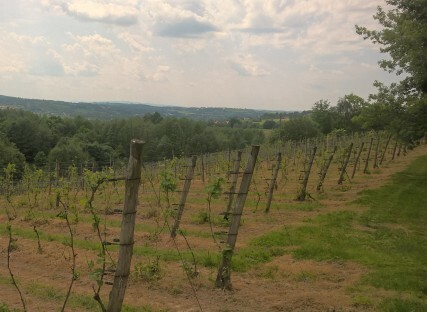 The fruiting part of the vineyard in Przysieki covers 1.2 ha of the total 1.8 ha area. About 7500 grapevine plants are grown here, representing 15 varieties, including white ones, e.g. Aurora, Bianca, Johanniter, Hibernal, Seyval Blanc, Muskat Odeski and Jutrzenka, and those most popular for making red wine, like Rondo, Regent, Leon Millot, Marechal Foch, and Cabernet Cortis. These varieties are also the most popular in Polish vineyards. 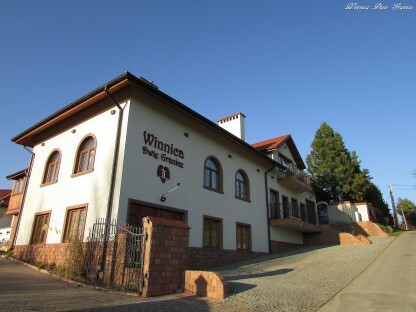 The winery consists of the processing facilities and the cellar. 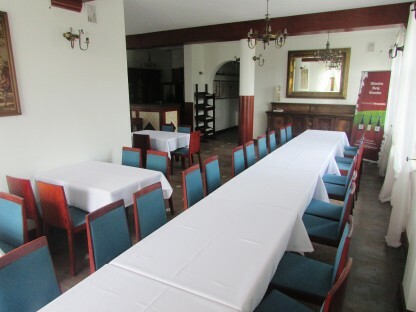 In the building there is also a company shop and wine tasting room. During wine tasting session guests have a tour of the cellar where wine is made. The local atmosphere is pleasant and friendly, and visitors remember every moment spent here for a long time. In 2012 new plantings began in the second vineyard, in Bączal Górny, with a total area of 4.2 ha, of which 6000 sqm are currently fruiting.